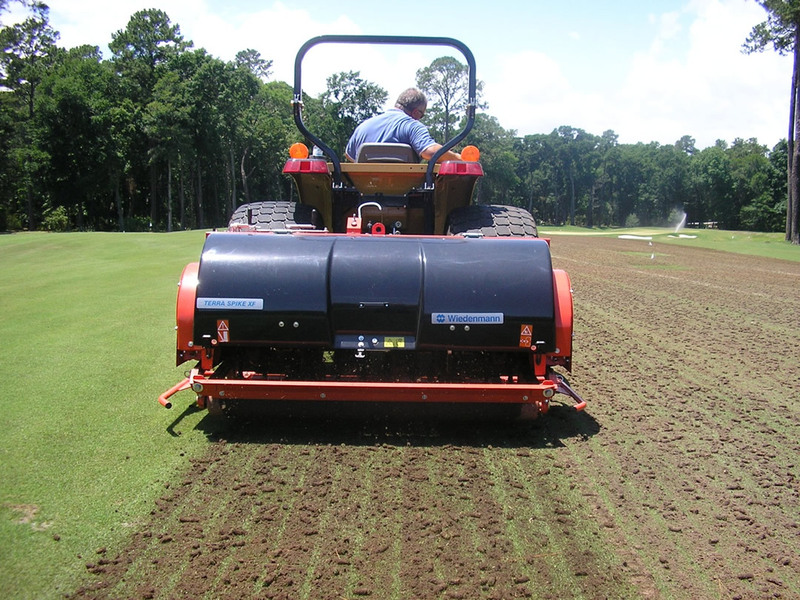 For fast deep aeration and removal of compactions up to 22 cm depth. The TERRA SPIKE XF series are the speed kings of the deep aerator world, loosening and aerating turf at a working speed of up to 6 km / hr. In either of its working widths XF6 (1.6 m) and XF8 (2.1m), this is a machine frequently favoured by professional clubs or organisations where time is of the essence. Optional equipment: Full tines, hollow tines, multi-tine holders, turf retainers, swath board, hydraulic rotary brush, hydraulic depth adjustment, lower link CAT I & II, soil probe cpl. If you are interested in our TERRA SPIKE XF6 / XF8 use the quick enquiry form below.